Broadcast RF IP probes have been around more than a decade and remain a popular solution in the MVPD, cable, and OTT industries. They have also become popular among broadcasters in countries where TV SFNs are in place. Learn how these devices can help engineers properly monitor links and identify issues before a viewer calls. Read the article, The Benefits of Using Broadcast RF IP Probes. The second showcased article this week looks at 4K UHD and the latest TV set sales headline, “High Dynamic Range”. This leaves viewers wondering, “What is high dynamic range, or HDR, should I buy it and what are the different flavors of it?” Here's some guidance. A broadcast IP probe alarm can be a chief engineer's best friend. A probe can notify a chief engineer, master control or transmitter engineer about any range of issues, from small level changes to catastrophic events. 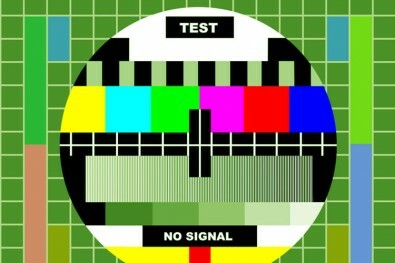 The goal is to monitor and respond to atypical states before one leads to a program transmission failure. One of the new pieces of test equipment is the broadcast RF IP probe. They remain a popular solution in the MVPD, cable, and OTT industries to monitor the performance of multiple channels at several diverse nodes. They have also become popular among broadcasters in countries where TV SFNs are in place and the numbers growing. A broadcast RF IP probe reports local signal strength, S/N ratios and stream data detail over IP. Most probes can also log errors and record streams locally. The depth of detail depends on individual product design and settings. Learn what an RF IP probe can do in the article, The Benefits of Using Broadcast RF IP Probes. Many of the lowest-cost television sets advertise High Dynamic Range (HDR) these days. TV set dealers call it a “must have” feature, but rarely ever explain it well. If a set has HDR, it is usually HDR10. But an even better version of HDR is available. Called Dolby Vision, many professionals believe it delivers a superior picture. But, nothing is free and for viewers to see the difference, content makers and broadcasters have to create and deliver both imagery and associated metadata. Without both viewers will not see any image improvement. Want to learn more about HDR and how it work? 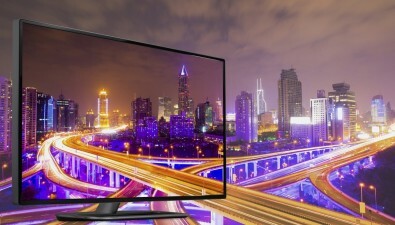 See this article, High Dynamic Range on 4K TVs: What’s the Difference? Did you miss the 2018 NAB exhibition? 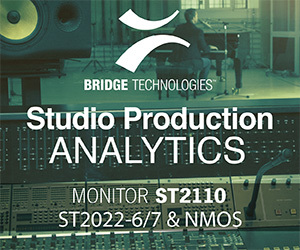 See The Broadcast Bridge for hundreds of new products displayed in Las Vegas. Special pre and post-show coverage is live on our website. Get the latest new product and technology information along with the latest announcements from the NAB show floor right here.